Given a career in the building systems industry, I have taken a new path, a golden opportunity. I began my involvement in building systems as a designer/cost accountant for a mobile/modular home manufacturer in Greeley, CO. Moving to Denver, I joined Colorado Log Homes which became the first of five log home companies. Amidst that was two opportunities in the Big Apple as a building systems consultant and then technical writer. The past 16-year run as an independent consultant provided some remarkable opportunities for product research and testing, code development, and meeting great people along the way. About 20 years ago, I met Bob Guay and Henry Walthery at a Building Systems Councils (BSC) meeting. Our friendships evolved over the years, so when I was on the BSC Board last year, it came natural to me to call them to invite them back into our association. Instead, they invited me to join their family at Harvest Homes. I accepted and started in January 2017. I’m enjoying a top-notch building system and production team, and the challenges and daily learning that comes with being their New England Region Sales Manager. Dedicated to the log home industry and green building, my career is reflected in this website and remains available as a source of information. Thanks to my work with the Log & Timber Homes Council of the Building Systems Councils, NAHB, I have contributed to satisfying many of the objectives that spawned its organization in 1977. Today, ICC400 Standard on the Design and Construction of Log Structures is being published in its third edition (2018). It is the culmination of those efforts and has afforded me the honor of working with an assortment of industry peers who will forever be friends. 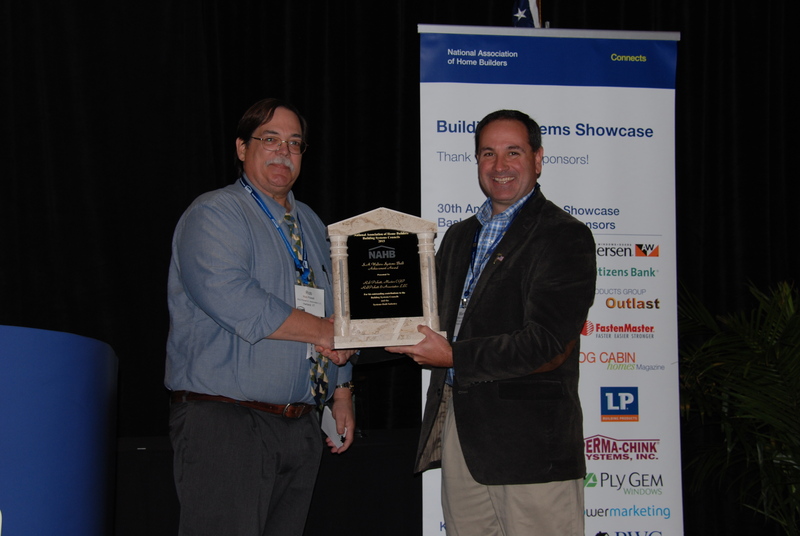 Hartland, VT, Nov. 6, 2015 – Rob Pickett of Rob Pickett &Associates, LLC was honored on Nov. 6, 2015, during the BSC’s Building Systems Showcase, the only national conference and educational event focused exclusively on the systems-built industry. Pickett has been highly engaged in the building systems industry for over 35 years. Since 1993, Pickett has been an active part of the Log and Timber Homes Council (LTHC), serving as the LTHC Log Grading Program Chairman for five years, the LTHC Technical Committee Chairman for two years, and a member of the LTHC Steering Committee for four years. He’s also a three-time LTHC President’s Award winner. Pickett has also served as Chair for the ICC IS-LOG Committee for the 2007 and 2012 editions of ICC400 Standard on the Design and Construction of Log Structures. In 2007, he became the Founding President of the ICC Building Safety Association of Vermont, the last state in the U.S. to form a chapter of ICC, serving on the Board of Directors for six years. Add to this record that Pickett is a Charter Member of Build Green NH Council, is a Quality Supervision Agent third-party log grading inspector, the 2012 NH HBA Associate Member of the Year, and in January of 2013 earned the NAHB designation of Master Green Building Professional. Pickett credits his friends, associates, and peers in the industry with helping him along his path. His exposure to the Log Homes Council began with Steven Winter Associates and the creation of the LHC Log Grading Program. One of his clients there, was Timber Log Homes where he became friends with Jerry Rouleau (1994 S.A. Walters Award Recipient). Later at Real Log Homes, Jerry convinced Pickett to move to Hartland, VT to join Real Log Homes as Director of Technical Services. Before he settled in, Rich Horn (1991 S.A. Walters Award Recipient) called and asked him to take over as Chair of the LHC Log Grading Committee. Offering an opportunity with Southland Log Homes, Joe E. Taylor (former BSC Chair) convinced Pickett to move to Irmo, SC. When opening a consulting office came up, Joe graciously offered to support the effort and became the first client. Grading Committee work built friendships with Ed Burke, Ph.D and Alex Charvat, P.E. Joining forces, their collaborative effort generated several projects and excellent products under the TimberLogic name. Working with the LTHC since the early 1980’s, Pickett has gained many great friendships spawned out of a common dedication, enjoying discussions with talented, intelligent peers, committee members and BSC Staff. A long list of accomplishments by the LTHC Committees is testimony to the quality of work that is generated by a united effort of Associate and Producing Members. Pickett closed by identifying new challenges that will require the cooperative efforts of LTHC Members – Upholding the importance and value of ICC400 which responds to the core issues that spawned the organization; partnering with other organizations to foster sustainable log resources; and continued evolution of business models to embrace the performance of the entire, finished home as a combination of systems. ABOUT THE S.A. WALTERS AWARD: The S.A. Walters Award for Systems-Built Achievement is the highest honor one can receive in our business. It recognizes a dedication to excellence, advancement of the industry and contributions to the Building Systems Councils. ABOUT THE BSC: The Building Systems Councils of the National Association of Home Builders is made up of manufacturer, builder, and associate members who advocate building with concrete, log, timber, modular, or panelized systems. Systems-built homes are constructed to the same code standards and reflect the same, and often enhanced, quality levels as any site-built construction. Why systems-built? They are completed in a fraction of the time, with a fraction of the waste, which can significantly reduce costs. 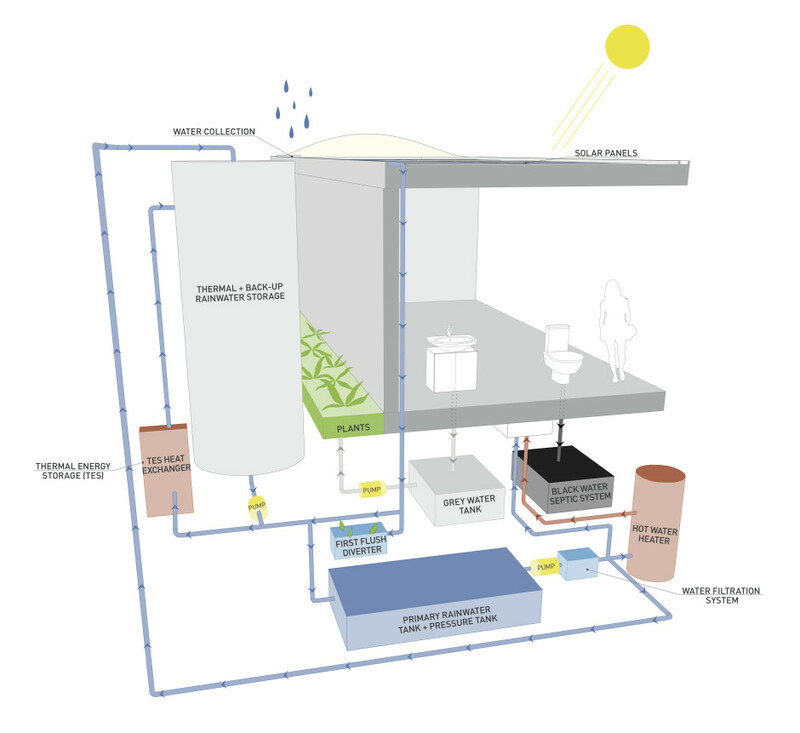 Many systems-built homes also are inherently environmentally friendly adding a “green” label to the finished home.